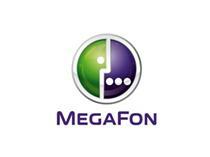 MOSCOW, Feb 5 (PRIME) -- The board of directors of major Russian mobile operator MegaFon has approved a deal to buy a 100% voting stake in SMARTS Volgograd, a unit of mobile firm SMARTS, MegaFon said in a statement late on Tuesday. Earlier in January, the deal was cleared by the antimonopoly service, which also allowed Tattelecom, the largest wireline operator in the republic of Tatarstan, to acquire two other SMARTS’ units – SMARTS-Ufa and Shupashkar-GSM in late 2013. SMARTS, which has long been conducting a trial against businessman Leonid Mayevsky’s Sigma Capital Partners, which claimed its rights to a stake in SMARTS, has already sold a number of its units. In mid-2013, Tattelecom bought 100% of SMARTS’ subsidiary SMARTS-Kazan operating in Tatarstan. In 2011, wireline giant Rostelecom bought 50% and 49% stakes in SMARTS’ subsidiaries Volgograd-GSM and Orenburg-GSM and was cleared to acquire 100% of another subsidiary of SMARTS – Astrakhan-GSM – in late 2012. SMARTS, one of Russia’s top 10 largest mobile operators, covers the Volga and central regions of the country.